Don’t let the name ‘Frangipane’ scare you, it’s a fancy name for a sweet almond mixture of butter, sugar, eggs, and ground almonds that bakes into an almond flavored delight! 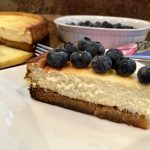 I have made a Keto friendly version using Allulose which is a sugar replacement that I enjoy baking with. The Frangipane layer is baked and then topped with a creamy, almond cheesecake filling and then baked again. 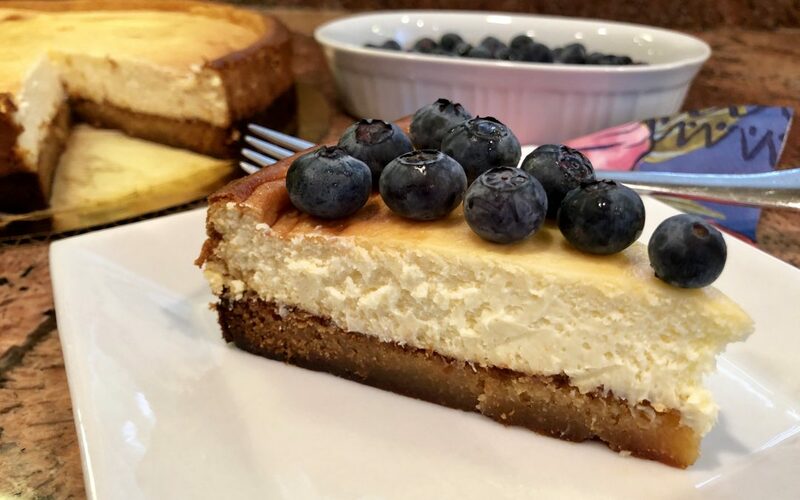 Top this Keto dessert with fresh berries. Preheat oven to 350’. Line the bottom of a 9 inch x 3 inch springform pan with a parchment paper round. Make crust: Place butter and 1 cup Allulose in mixer bowl and beat until creamy. Add 2 eggs and beat until blended; then mix in flour and 1 tsp. almond extract. Spread crust mixture evenly in prepared pan. Bake in preheated oven for 20-25 minutes; until browned and cooked through. 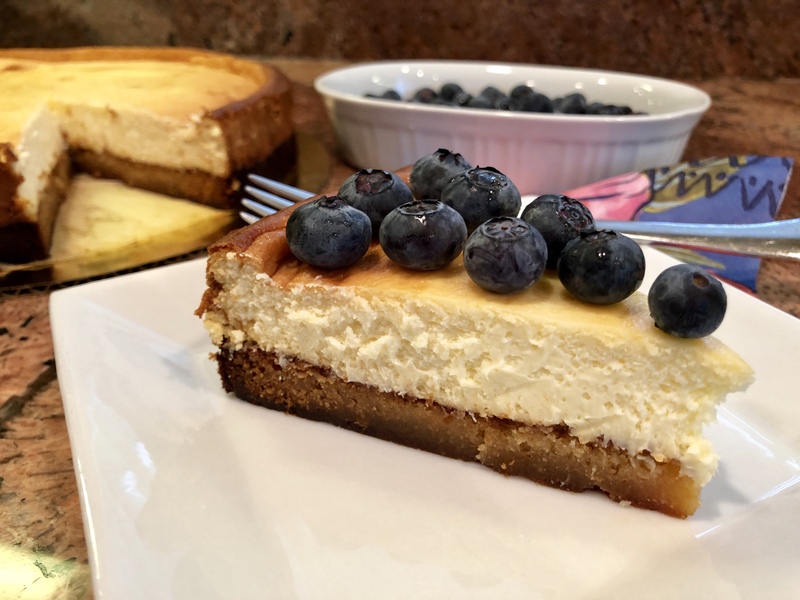 Remove from oven and let cool while mixing cheesecake layer. Heat oven to 325’. In a large mixing bowl, beat cream cheese until smooth. Add remaining cup of Allulose and beat on high speed 2 minutes. Add sour cream, 3 eggs, and 1 tsp. extract and beat on medium speed just until blended; about 2 minutes. Pour cheesecake mixture over cooled crust and bake for 50-55 minutes; top will feel firm when done. Remove from oven and let cool to room temperature on a wire rack. After cheesecake has chilled; run a knife around inside edges to loosen from pan. Release springform pan and remove. Slice and serve with fresh berries. NOTE: If you use another sugar replacement, you may have to adjust the amount used as Allulose is not quite as sweet as Swerve. I believe Allulose doesn't have the after taste that Swerve has.